Both my girls will be starting new schools this September with Olivia going into grade 8 and Bridget in grade 2. Both of them are a little apprehensive about it to a certain degree. I remember changing schools when I was younger so I can relate to the nervousness. Hallmark has created a Back to School Confidence Care Package that is perfect for Bridget and even might appeal to Olivia! Hallmark’s Kids Collection three card pack is cards that address topics like peer pressure, working hard and school jitters. These in particular relate well to Olivia who is 13 years old and is more nervous than her sister about meeting new friends and doing well in her studies. 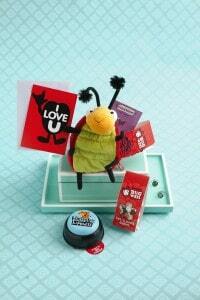 Hallmark’s Bug ‘Em is an adorable stuffed ladybug that you can fill with notes and treats and send it off with your child to school. They will open it and find a surprise from you. This is more geared towards Bridget who is 6. I think she would really like to find a special surprise from me in in her backpack. I look forward to using it this coming school year. Hallmark’s Lunchbox Notes are 50 notes that you can stick in your child’s backpack or (the Bug ‘Em) and give your child a reminder each day that you love them or offer them words of encouragement. Bridget is a new reader so a little note each day would be something she would like to practice her new skill and remind her that I’m always thinking of her. Hallmark Recordable Storybooks are so neat. You can record yourself reading the story and then your child can replay it back anytime and have you read him/her a story. It’s great to have if you are busy with work or not around at bedtime or when you have a babysitter over and your child is missing you. I remember my mom read to me constantly as a child and something like this would have helped her get some more stuff done around the house. She said I was relentless with wanting to be read to. Visit Hallmark to learn more or to purchase! 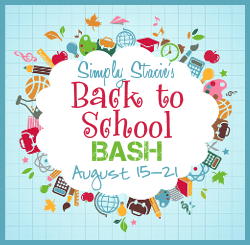 Make sure to enter the giveaway for a Hallmark Back to School Confidence Package too!